Death and serious injury from road crashes is a major problem in South Australia. Speeding on highways continues to be a major cause of road crashes and road trauma. New technologies such as average speed cameras are being introduced in South Australia in the future to help reduce speeding and improve road safety, particularly in rural areas. Reductions in average travel speed across the network is the most effective and swift way to reduce road trauma and would produce significant and immediate road safety benefits. A reduction of 5km/h in average travel speed would reduce rural casualty crashes by about 30%. Average speed detection modifies the behaviour of drivers over a long section of road continuously and is attributed with reducing speeding and assisting traffic flow with the result that it improves road safety in the area. The average speed camera technology used in South Australia detects all vehicles passing each camera and also detects each vehicles actual speed at each of the camera locations. New South Wales, Victoria, Queensland and the Australian Capital Territory, currently use average speed safety cameras. Tasmania and Western Australia are currently working towards implementing this technology. Average speed cameras currently operate extensively in the UK, several countries in Europe, the Middle East and a few other smaller localities across the globe. The National Road Safety Strategy 2011-2020 and Towards Zero Together – South Australia’s Road Safety Strategy 2020 include the use of new technologies such as average speed safety cameras to increase compliance with speed limits. How do average speed safety cameras work? Average speed is one form of point to point speed detection. It involves measuring the time taken by a vehicle to travel between two camera sites. An image of every vehicle is captured by the first camera, together with a record of the time when the image is taken. The second camera repeats that process. 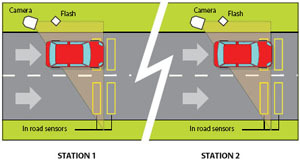 The average speed of the vehicle is calculated by dividing the distance between the cameras by the time taken for the vehicle to travel between the sites. If the average speed of the vehicle is in excess of the speed limit then the driver of the vehicle has committed a speeding offence. What is the difference between average speed and actual speed? Actual speed is the speed of the vehicle at a single point in time. Fixed speed cameras such as mid-block safety cameras or safety cameras at traffic signals detect a vehicle’s actual speed as the vehicle passes the part of the camera system that detects speed. Average speed detection involves measuring the time taken by a vehicle to travel between two camera sites. Will there be signs to warn drivers about the cameras? Yes, both "Safety Camera Ahead" and "Average Speed Safety Camera Zone" road signs will be displayed at the start and end and at also at intervals throughout the average speed detection area so that drivers are aware of the cameras. This roadside sign displays a camera icon and a warning message which reads “Average Speed Safety Camera Ahead”. Where are average speed cameras and why were those locations chosen? Average speed camera locations are on segments of high risk, inner rural arterial roads, based on risk and exposure on a priority basis. 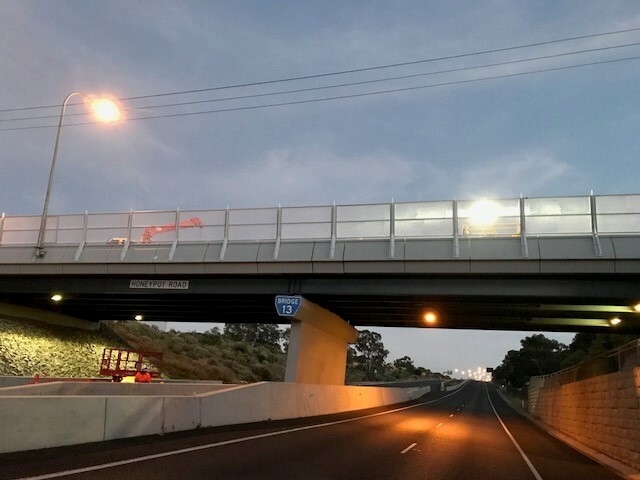 In July 2014, South Australia’s first average speed safety camera zone became operational on Port Wakefield Road; monitoring vehicle speeds between Two Wells and Port Wakefield. This section of highway also has the highest annual average daily traffic figures as it feeds Yorke Peninsula, Flinders Ranges, Northern Territory and Western Australia and the vast majority of vehicles driving to or from these destinations travel along Port Wakefield Road. In addition, speed statistics for 2008 confirmed a high rate of speeding along this section of highway; At Two Wells, almost 20% of all vehicles were recorded exceeding the speed limit by over 5 km/h. The existing penalty structure for speeding offences in the Road Traffic Act 1961 and the Road Traffic (Miscellaneous) Regulations 2014 will apply to average speed safety camera offences. As with all safety cameras, the vehicle’s registration will also be validated and an additional infringement item will be added to the expiation notice if the vehicle is unregistered / uninsured. How accurate are average speed safety cameras? The technology used to detect average speed is extremely accurate. The distance used when calculating a vehicle’s average speed across an average speed safety camera enforcement length will be the shortest practicable distance, which ensures that there is no possibility that a driver’s speed can be overestimated. A registered land surveyor has certified the travelling distance accurately. Time accuracy is monitored constantly with reference to Coordinated Universal Time (UTC).